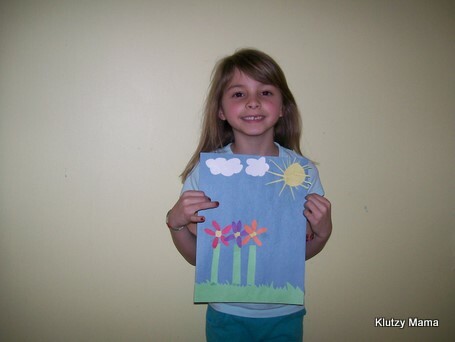 I was so excited to see that, so I helped Nanner with a spring themed craft to celebrate. 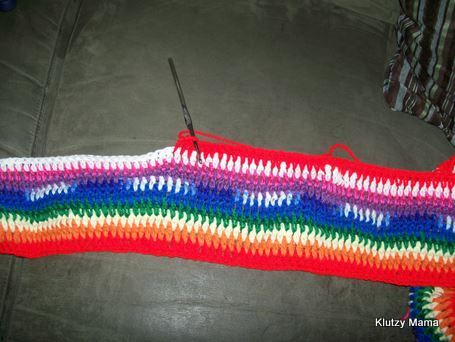 And then I started working on this rainbow-y afghan. It’s going to take the place of this one, which was supposed to be thrown in to the trunk for whenever we needed it, but Buster kind of adopted it for his own. My mom got this huge box of yarn at a garage sale, so I decided to make another one for my car. However, this one is so cheery and bright that I may not be able to keep it in the trunk. I think it will be perfect for those cold Spring mornings at the soccer field! I’ll be sure to post another picture when it’s complete. ← The Next Great Super Hero Duo? Oh I love it, all of it – the flowers, the afghan and Hannah’s spring craft. 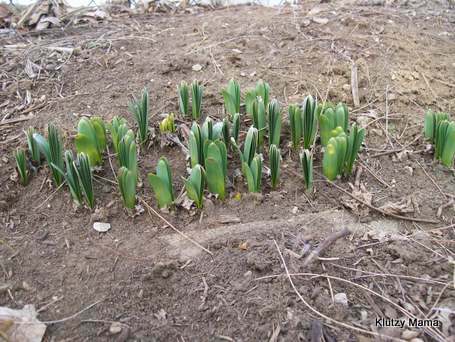 Don’t you love seeing signs of spring?! I love the colorful afghan!! I love your spring pictures! I am anxiously awaiting the blooming of the iris! Though our winter here is not near as cold as y’all’s this year has been the coldest in the 17 years since we moved here! Most of the iris look brown on the tips and so far no buds but we shall hope for the best! GBB, Today it rained ALL DAY and now the temp is dropping and they are calling for snow flurries tomorrow, but I will not let that get my spirits down!!! 🙂 Spring is coming! Yep, it’s showing itself here, too. Yay!